Breakfasts at The Inn are, well, special - a morning ritual gathering of our guests, if you will. We embrace the local farm-to-table concept and support the many farms, mini-farms, and farmer's markets throughout Licking County. From farm-fresh eggs sourced from the wonderful Young girls, Ava and Emma, at Kussmaul Farm to our award-winning jams and preserves from Black Radish Creamery, we go out of our way to support local businesses - especially when it comes to our morning breakfasts. Some of our guests' favorites include our multigrain panini bread French toast with a medley of fresh berries and a side of maple-glazed bacon and farm-fresh omelettes with your choice of things like our special 7-cheese blend, caramelized onions and red peppers, fresh spinach and mushrooms, grilled asparagus, artichoke hearts, prosciutto, or smoked salmon - along with a side of balsamic Tuscan tomato basil salad and much more. 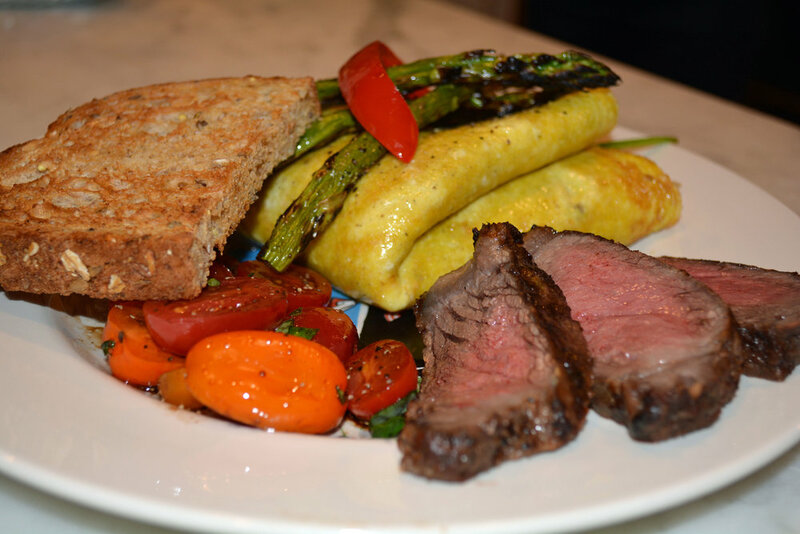 Savor our Signature fritatta with bacon-wrapped sweet sausage, homemade blueberry pancakes, or even maybe a modern twist on the age-old steak and eggs. All of our meals are prepared fresh and made to order for our guests. Come join us - and experience the difference for yourself!